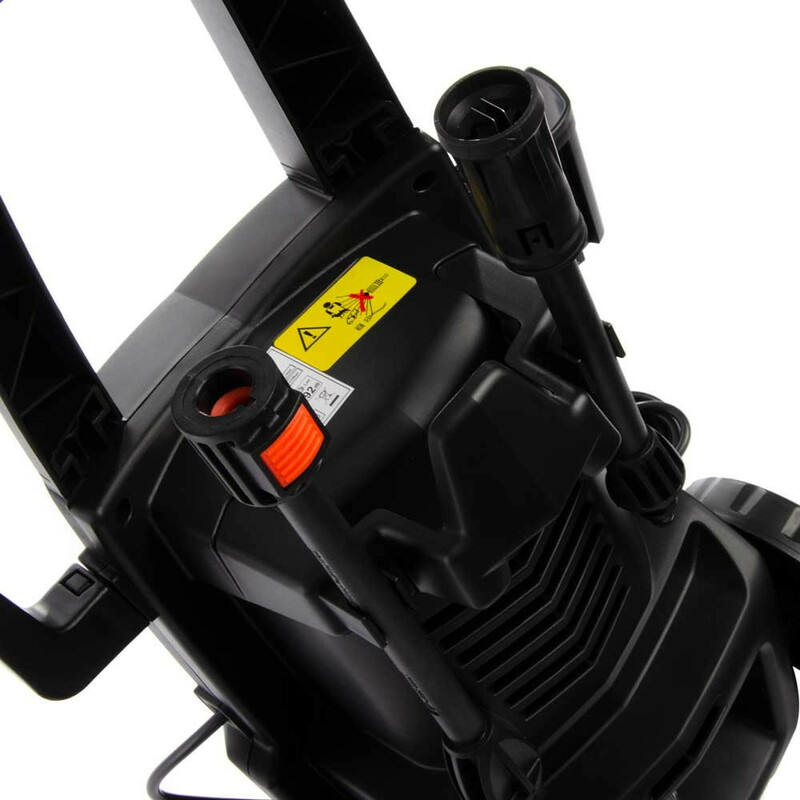 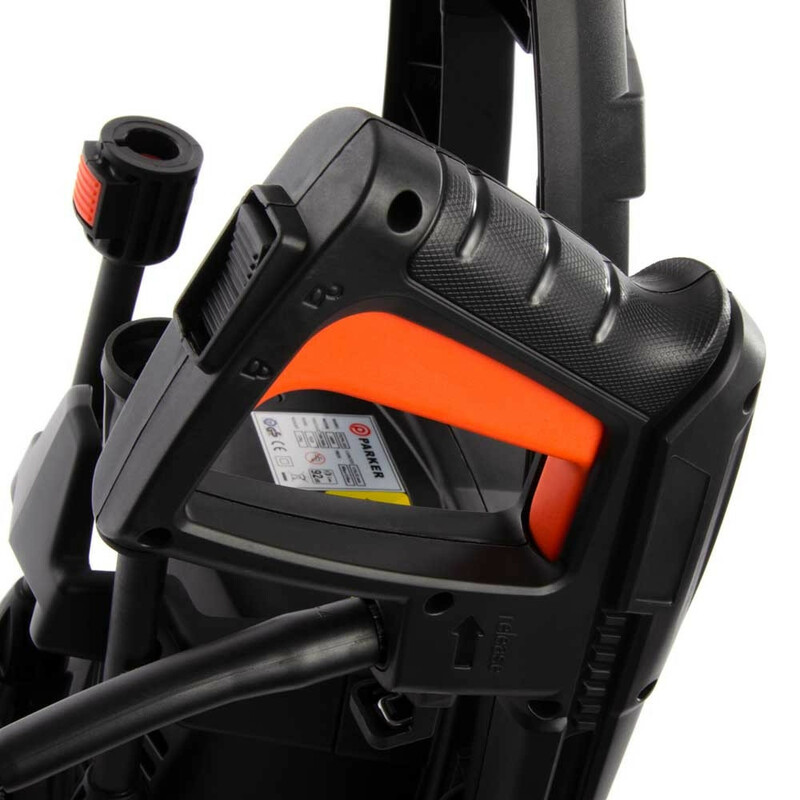 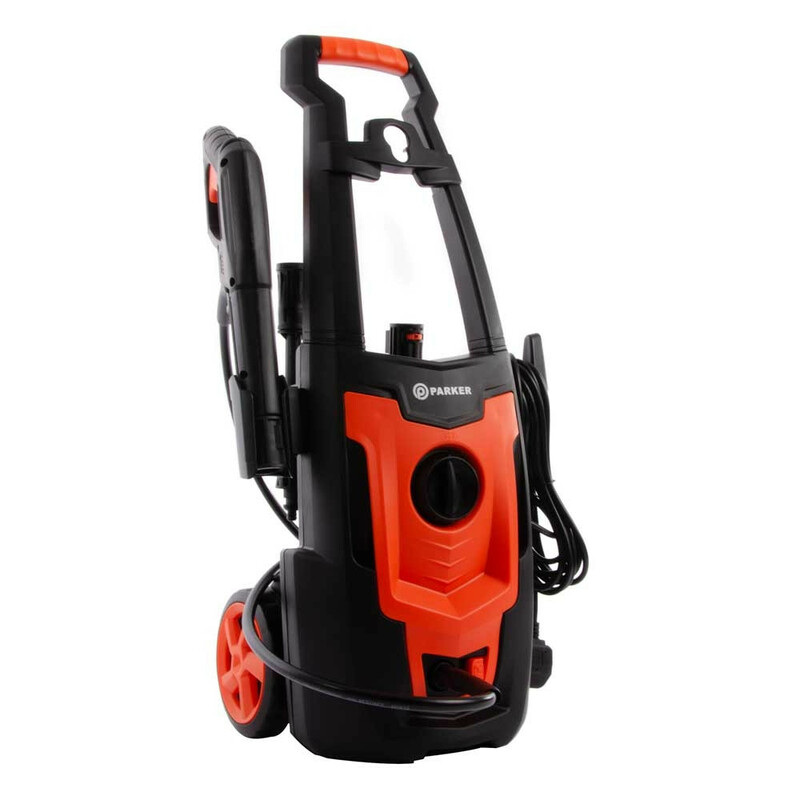 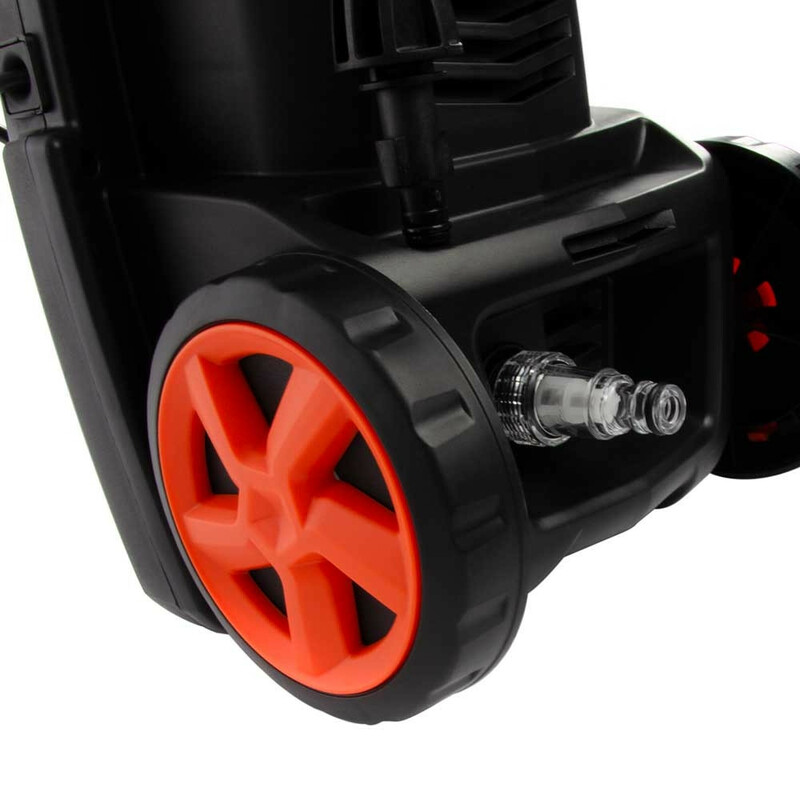 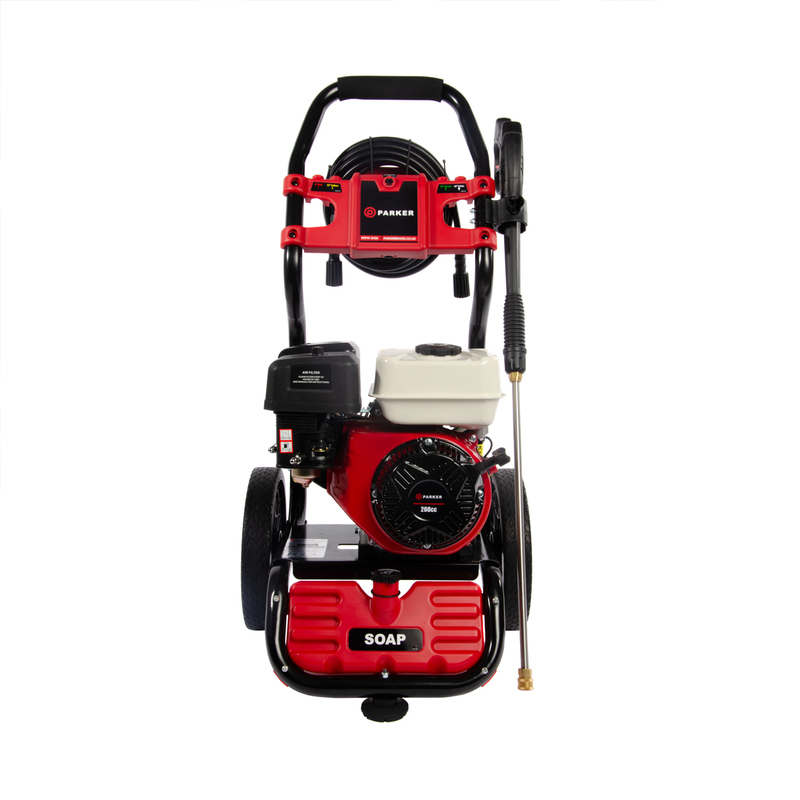 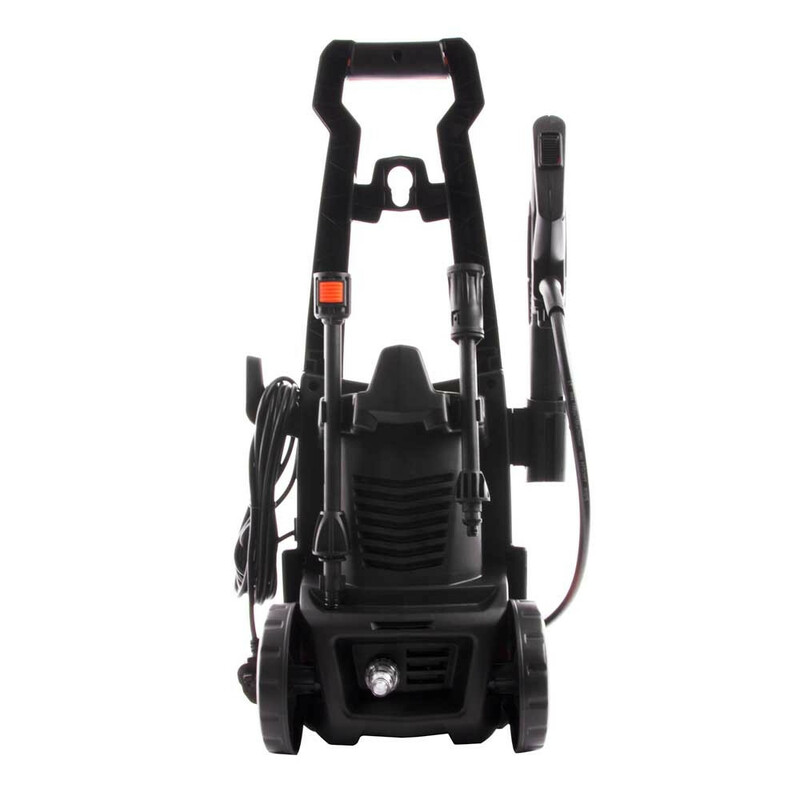 With the success of our petrol ParkerBrand pressure washer range our designers and tech team have put their heads together to produce this clear-cut winner of an electric pressure washer. 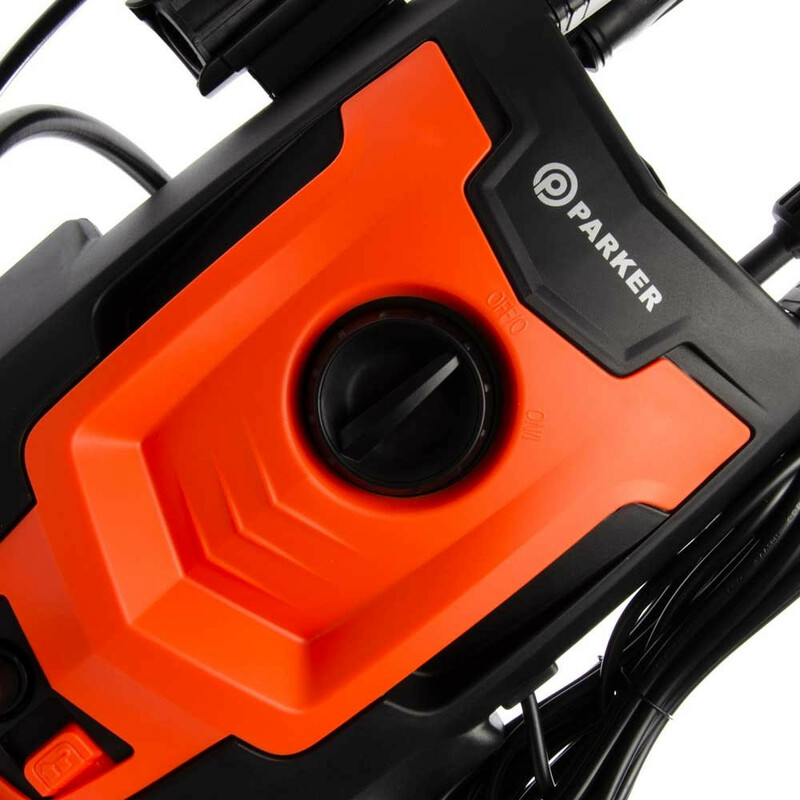 These machines are for lighter duties and absolutely perfect for cleaning smaller areas and domestic uses such as car washing and blasting clean all sorts of spots to the standard you would expect of ParkerBrand. 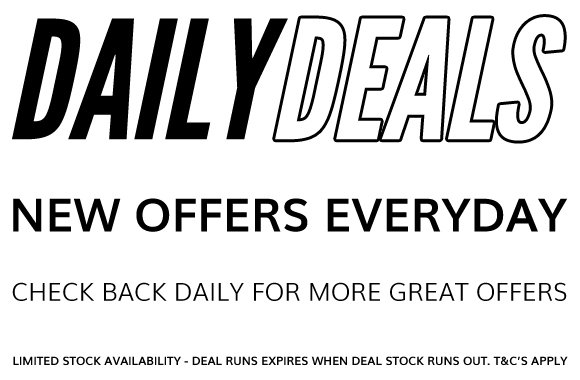 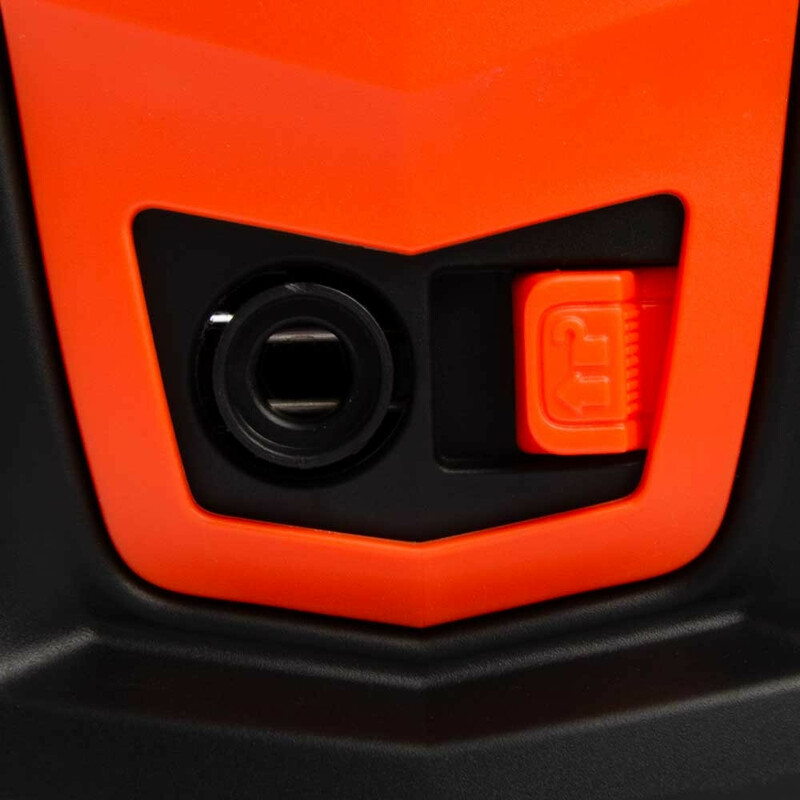 They come packed with features that mean that you are working smarter not harder! 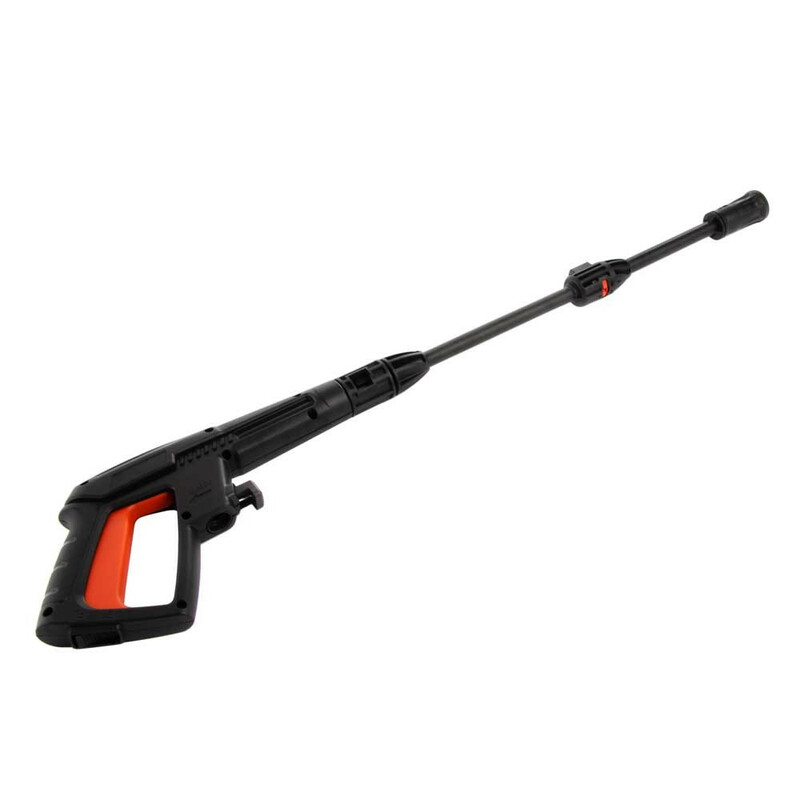 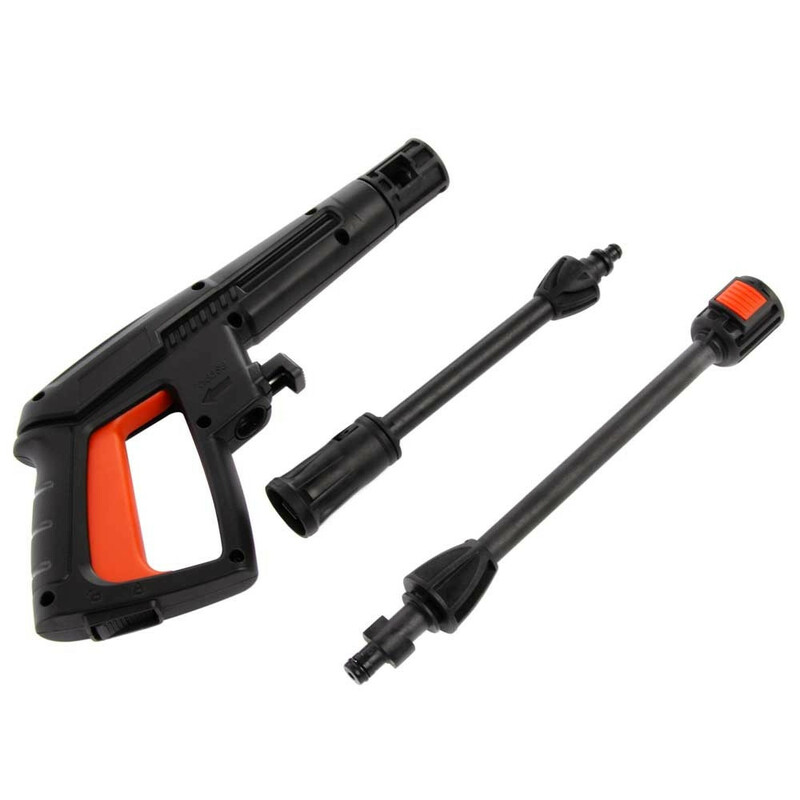 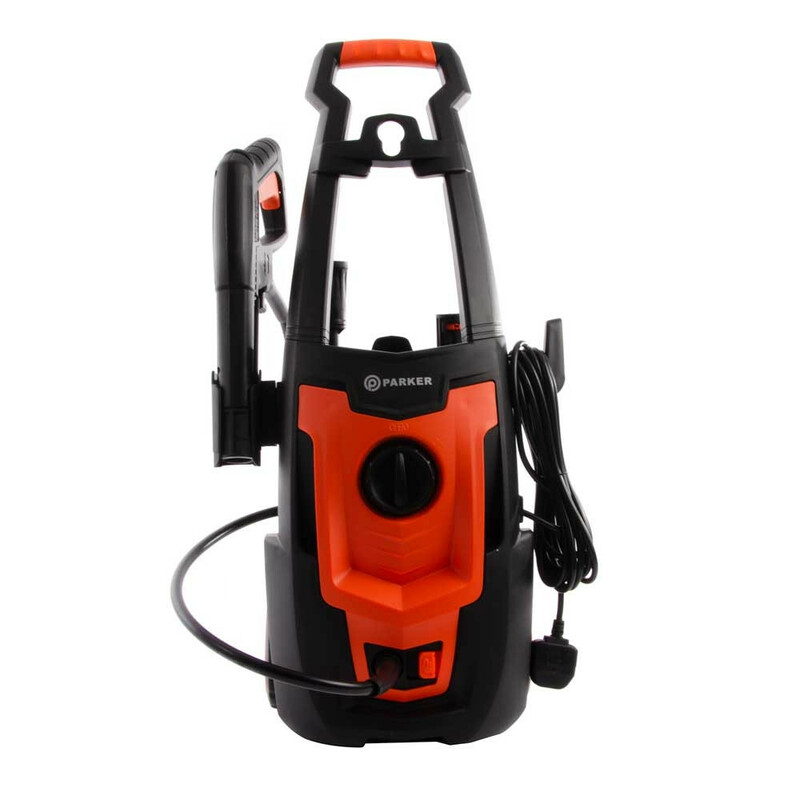 With a full five metres of hose with a spray gun that has a fully adjustable spray nozzle ripping away at a maximum of 1,500psi it will clean like a dream. 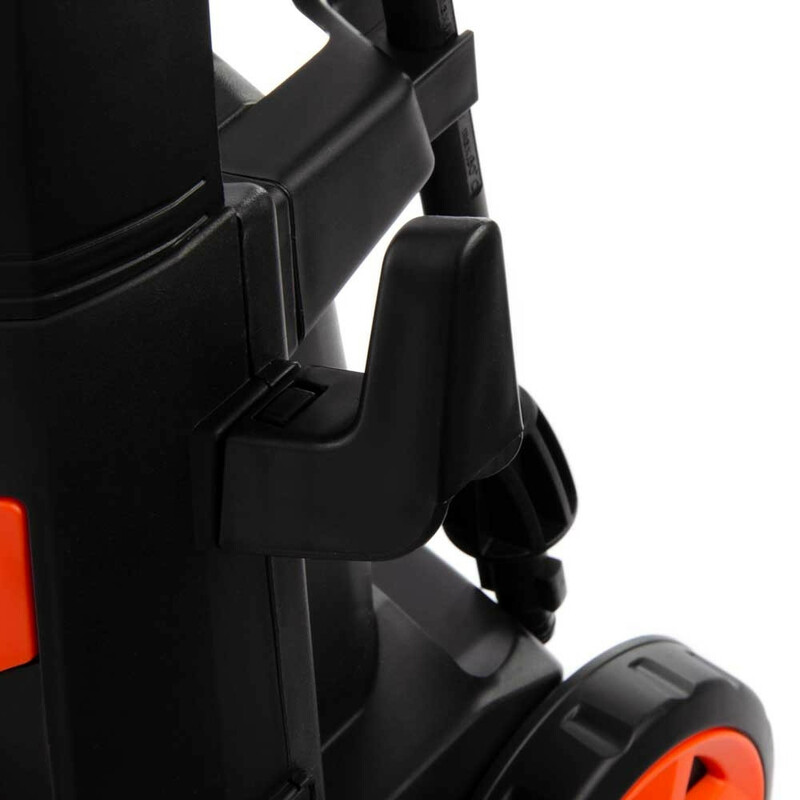 It has a five-metre electric cord that extends as far as that extension cable you already have. 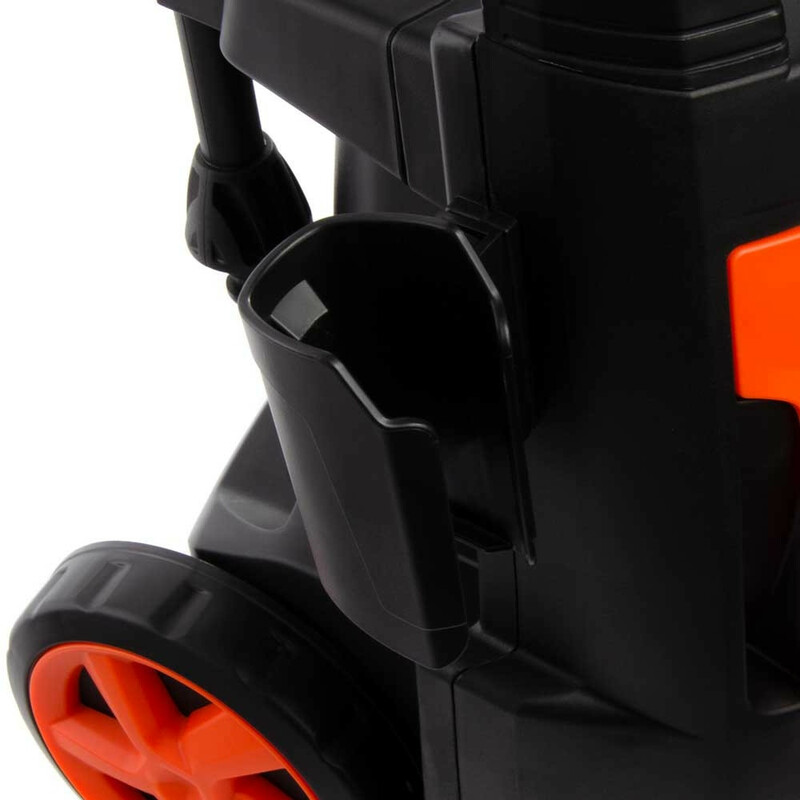 Beyond that the rated flow of 5.5 litres per minute means that you are saving water - an attractive bonus for the increasing numbers of us who have water metres. 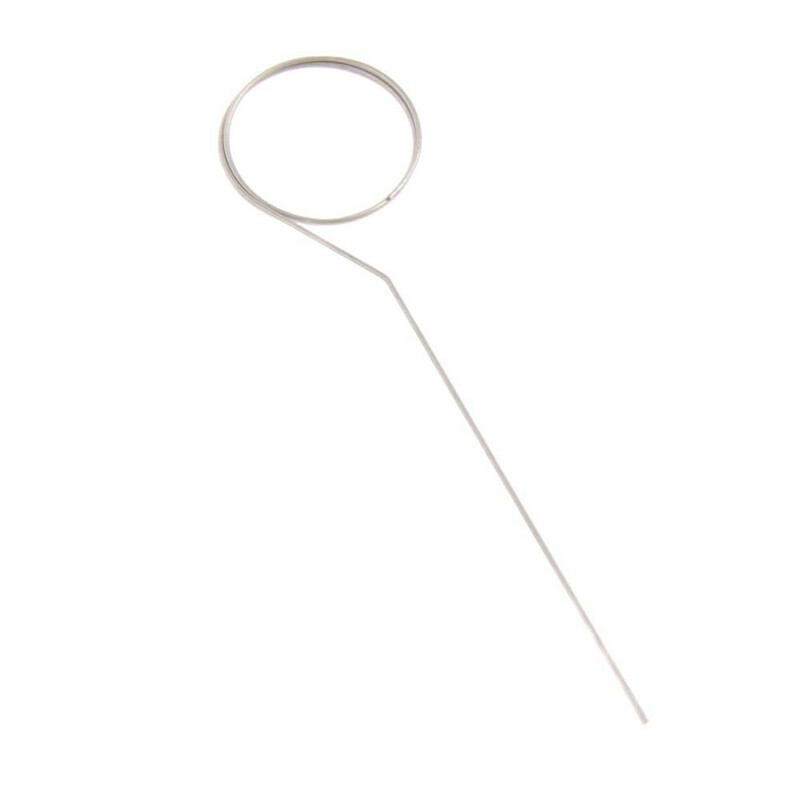 Light, portable and with a compact design these washers are an asset to your armoury of DIY tools. 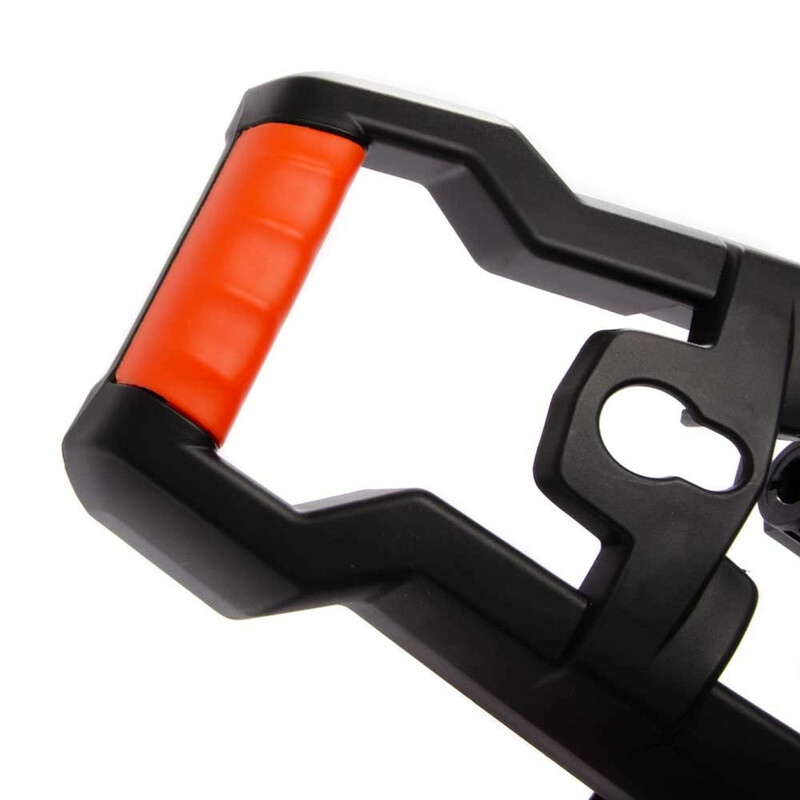 They’re made of robust components encased in a sturdy plastic body. 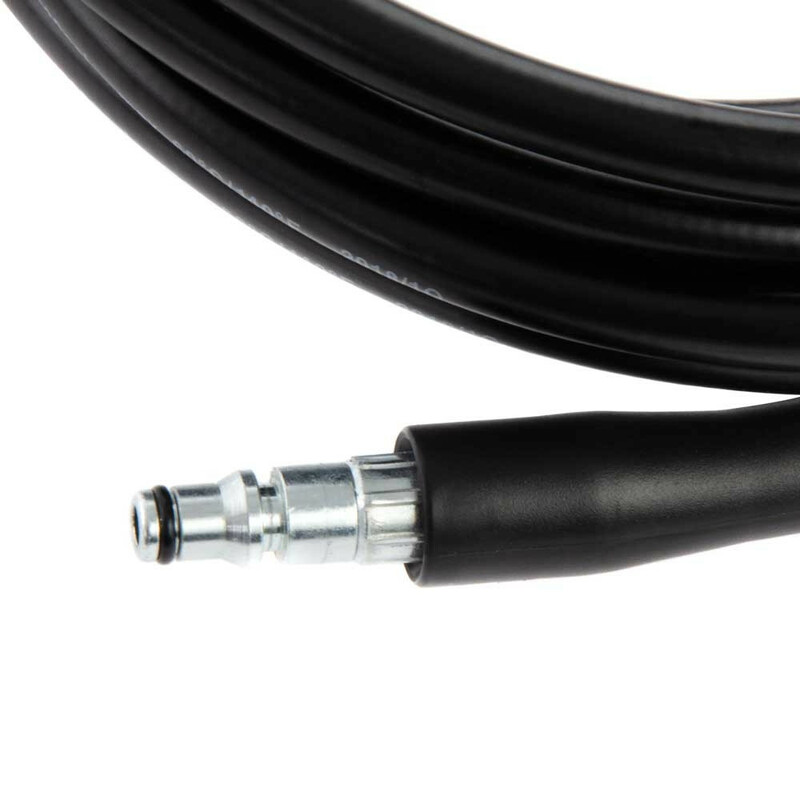 A quick-connect water inlet these can also be used to boost the power of your garden hose giving you impressive reach around the garden without pacing back and forth. 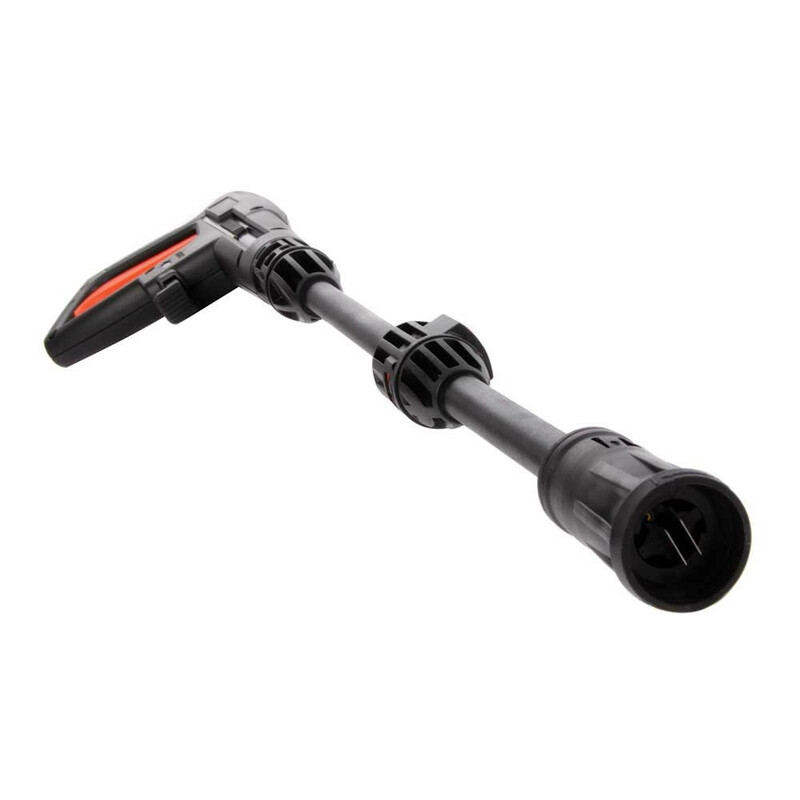 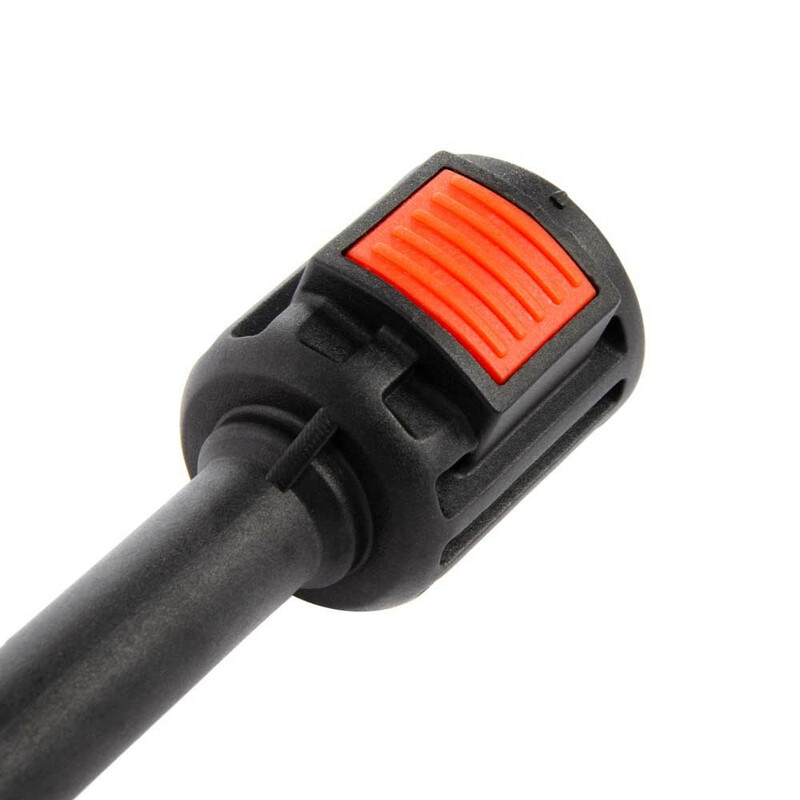 We’ll even include a nozzle cleaning pin to make sure you are always working at your optimum. 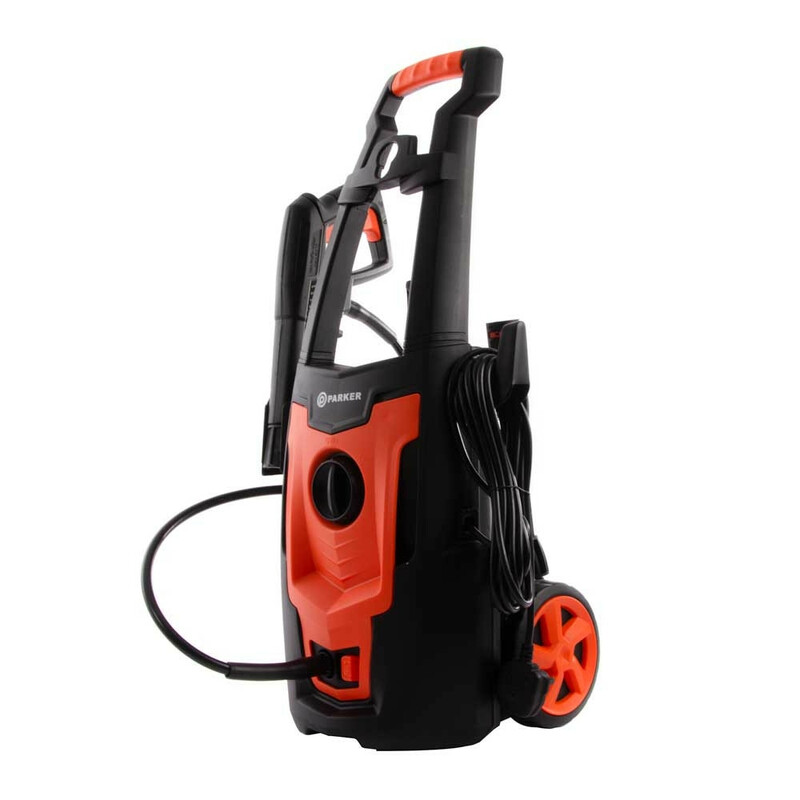 So, if you’ve got a stack of tasks in front of you and that flimsy hose pipe isn’t going to hit the mark and you’re not into the idea of petrol power these light and super portable power washers (PEPW-310) are punching way above their weight.